With just a few weeks left before we officially launch, QLIPP has been receiving much attention from the media and we are absolutely thrilled to share them with you! The Daily mail has one of the largest readership base in the United Kingdom and we are still ecstatic to be given a mention! 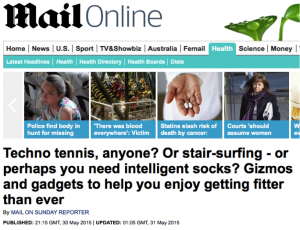 This article published on 30 May also features other intriguing innovations that make getting fit less daunting and is definitely a must-read if you are ready for a peek of what the future of sports technology holds. 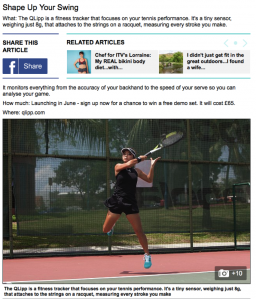 As seen in the article, we had the opportunity to work with Mary Ngiam, a professional tennis player and coach who has competed on both the national and international level in her career so far. 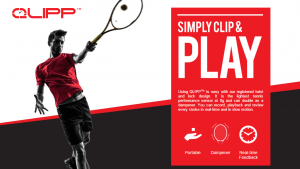 Representing her country during the World Junior Tennis Competition in 2002 and boasting more than five years of coaching experience, it was great to see Mary Ngiam using our QLIPP Ultimate Tennis Performance Sensor. In other news, we are also delighted to have the unwavering support of Sarah Pang, Singapore’s top tennis player. During a recent feature in The Straits Times, Singapore’s most read newspaper, it was revealed that she has been keeping the sensor close by her side. We would like to give our heartfelt congratulations to Sarah Pang for being the only Singaporean to enter the WTA professional circuit and also wish her all the best for the upcoming SEA Games 2015. At this point, if you cannot wait to have your very own QLIPP sensor, be sure to mark 24 June down on your calendar for we will soon be launching the sensor at a special price! ← Previous Previous post: WHY DOES IT HURT WHEN I RUN? Next → Next post: 1,2,3!